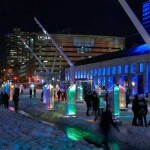 Art Souterrain Festival in Montreal, Canada. 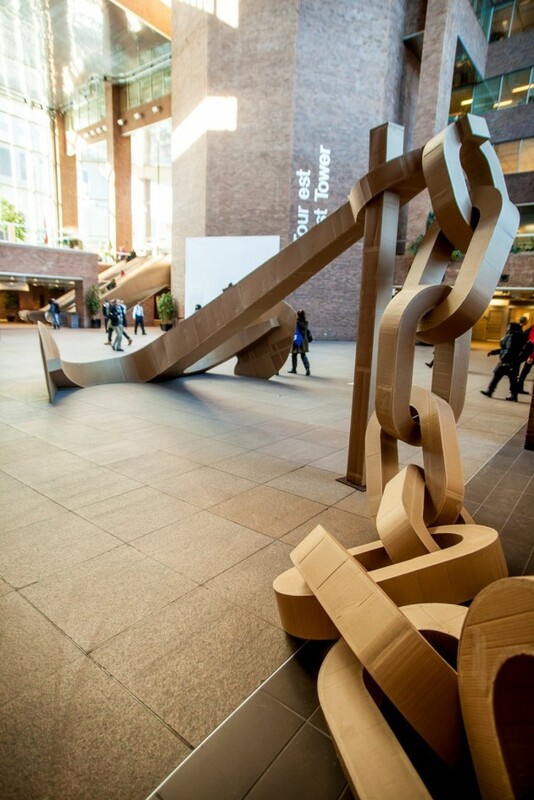 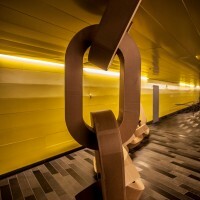 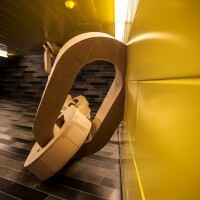 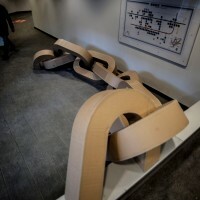 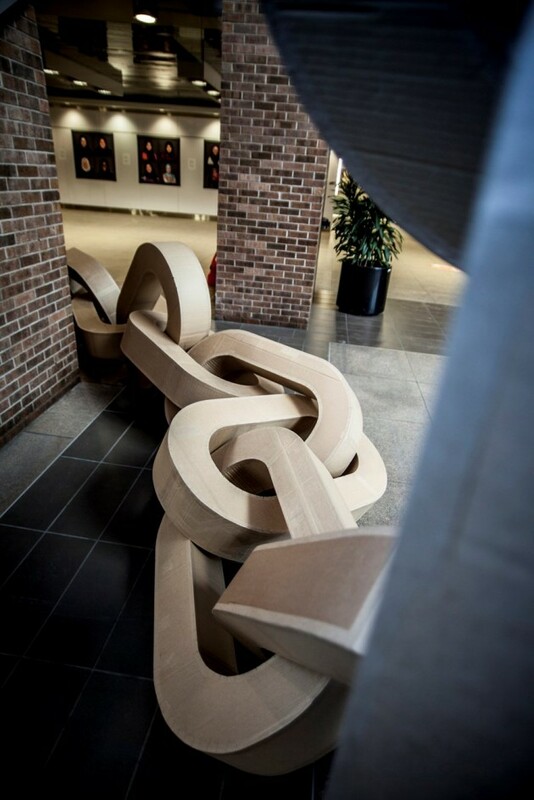 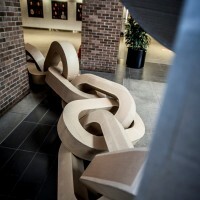 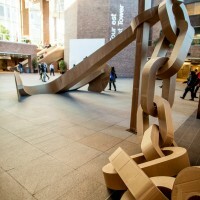 The monumental anchor installed in the Guy Favreau complex is a reference to the contradiction between an anchor’s heavy weight and this anchor’s light and fragile cardboard composition. 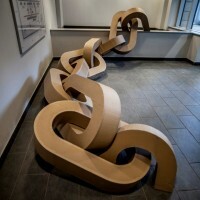 This piece expresses how this is felt as a necessity by immigrating people, while also exploring the instability and the transitory conditions they experience. 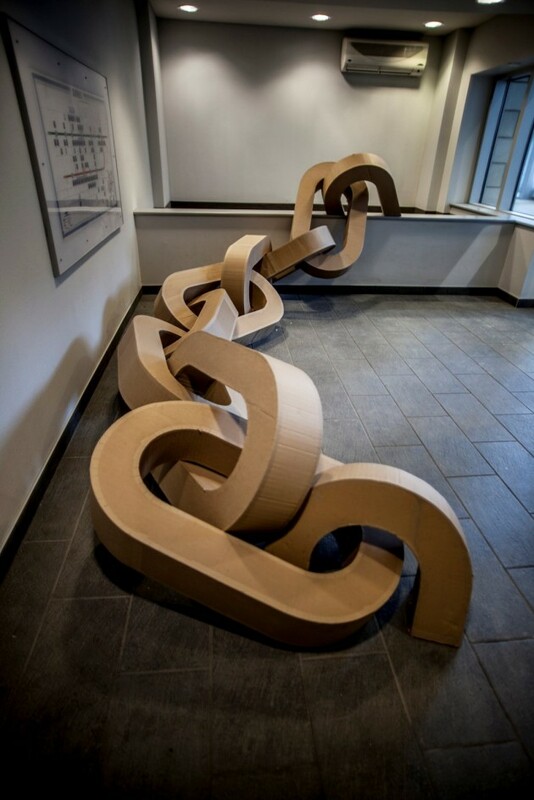 French born artist, Sophie Cardin graduated from the Academy of Fine Arts in Rennes. 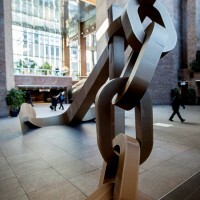 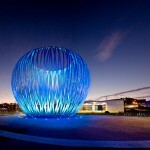 Now based in Montreal, she specializes in installation, sculpture and performances. 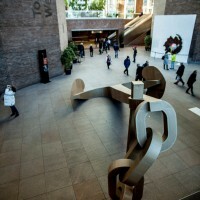 Her works have been exhibited in France, Belgium and Russia. 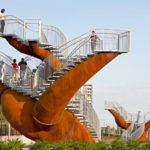 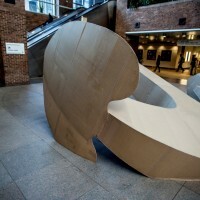 ART SOUTERRAIN, a non-profit organization founded in 2009, showcases each year international contemporary art institutions, artists, and the architectural and cultural heritage of downtown Montreal’s underground city. 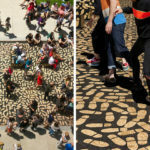 As a unique contemporary art festival in North America, Art Souterrain aims to make art accessible to a wider audience by taking it out of it’s traditional exhibition spaces. 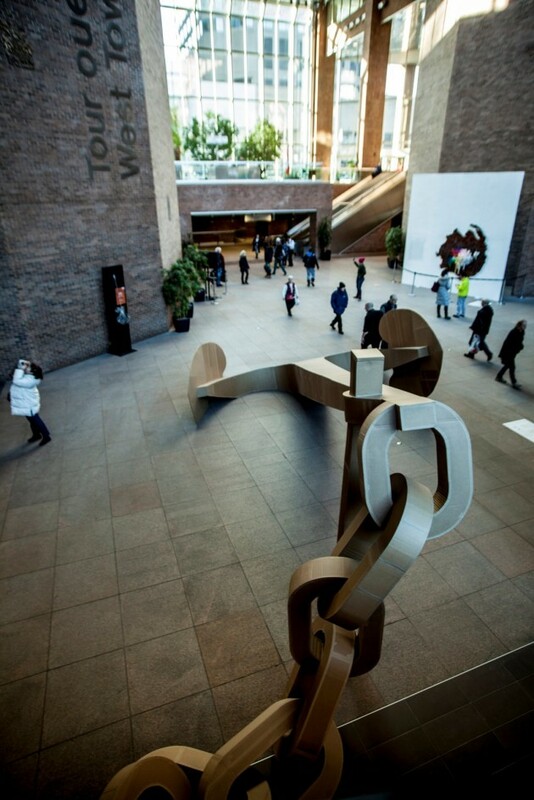 In 2014, the festival aims to pursue its objective of always offering more to our artists, our platforms and our public with over an hundred artworks presented all over a 7,2km route.